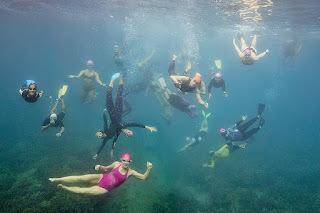 The Maui Pink Cap swimmers enjoyed a pre-full moon ocean swim Sunday morning with perfect conditions. Bruce was back and visited almost everyone in the group. Click HERE for more photos of Sunday's swim.